Impressive Entry with open staircase and high ceiling. Big window for good natural light. Main floor Washer/Dryer hook ups. Landscaped yard. Deck. Brick patio shed, & cement pad. Master bedroom with walk-in closet & full bath. Family room pre-wired for surround sound. Bonus area down for computer nook or study area or exercise. Small dogs considered on an individual basis. Appliances included. Earlier possession may be possible. 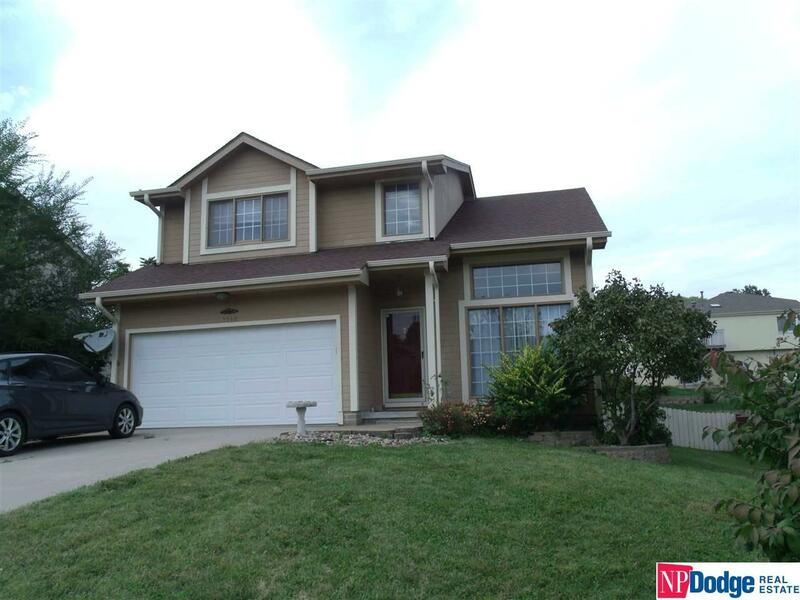 Listing provided courtesy of Np Dodge Re Sales Inc Sarpy.